Ladybird, Ladybird Fly Away Home! Have you ever seen these funny-looking bugs around? They’re black and spiny with yellow stripes. These are actually the juvenille larvae form of the ladybird! It’s hard to imagine that they’re going to become something so beautiful! Did you know that ladybirds have a similar life-cycle to a butterfly? Ladybirds lay hundreds of eggs, and when they hatch, the ladybird larvae immediately begin to feed. 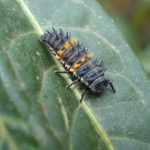 By the end of its three-to-six-week life, the larvae may eat some 5,000 aphids. It’s great news if you have ladybirds and lavae in your garden munching away. 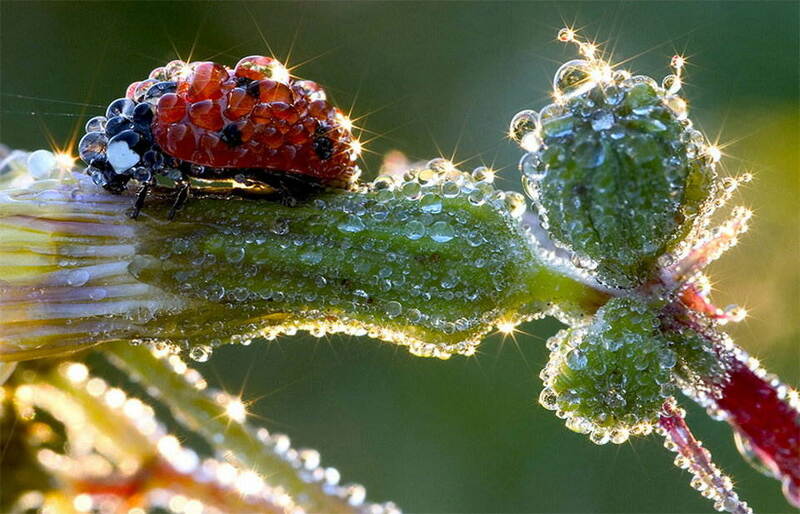 Ladybirds are a very important part of the health and overall balance of your garden. 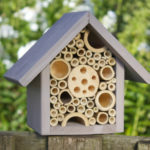 How about making or buying an Insect Hotel to encourage them to safely live in your garden? You may even see some other beneficial insects such as native bees! You can find some fabulous ones for sale at nurseries or online, but a tied bundle of bamboo canes, sticks, or even pinecones are a great way to get started. Hang up the hotel under the branch of a tree or to a railing and the ladybirds will begin to move in. You can attach it to a fence to keep it from blowing away in the wind. Make sure there’s plenty of plant growth around so the insects can easily crawl about. Keep your insect hotel in a protected and dry place. If the rain gets in, then your visitors may drown. Look after your ladybirds and you can be rest assured that they’ll look after your garden.